Dr. Elias G. Carayannis is full professor of science, technology, innovation and entrepreneurship, as well as co-founder and co-director of the Global and Entrepreneurial Finance Research Institute (GEFRI) and director of research on science, technology, innovation and entrepreneurship, European Union Research Center, (EURC) at the School of Business of the George Washington University in Washington, D.C. Carayannis’ teaching and research activities focus on the areas of strategic government-university-industry R&D partnerships, technology road-mapping, technology transfer and commercialization, international science and technology policy, technological entrepreneurship and regional economic development. 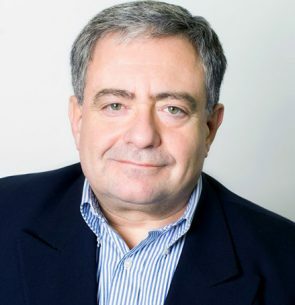 Carayannis is the co-founder and co-director of the Global and Entrepreneurial Finance Research Institute (GEFRI) and Director of Research on Science, Technology, Innovation and Entrepreneurship of the European Union Research Center (EURC) at the GW School of Business. He is fluent in English, French, German, Greek, and has a working knowledge of Spanish.